Editor note: Sonoran News devotes this space to Jennifer Jones due to the timeliness and crucial nature of her submission. With the recall underway, we must all be vigilant in reaching a truthful understanding of our vital role as voting citizens. I was having breakfast last month at Mountain Quail Café with Quartzsite Mayor Ed Foster when someone handed us a copy of the Arizona Republic, containing an editorial entitled, “Cave Creek, don’t become the new Quartzsite.” We laughed out loud that the Republic’s Editorial Board had coined the phrase “gone Quartzsite” as a euphemism for what I usually refer to as municipal anarchy, and they even mentioned the mayor and me, if not by name. Quartzsite is a cautionary tale; a municipality allowed to act so far outside of the rule of law that it has become the poster child of what not to do, a national embarrassment that has even gained international attention. If you are not familiar with the criminal antics of Quartzsite’s officials in recent years you should be, because a precedent is being set and history is being made as lawsuits work their way through U.S. District Court. After Mayor Foster and I became known persons due to a video of the June 28, 2011 town council meeting going “viral,” countless people reached out to us and related similar problems in their local governments. It became apparent that while our cast of characters may be more freakish and their actions more over the top, Quartzsite is not unique. Our nation is suffering from a plague of apathy that allows petty tyrants to abuse their authority. The only cure for this disease is accountability. Politicians, like dogs and children, will repeat successful behavior. Why do they behave badly? Because they are allowed to. The citizens must learn to say “No!” – say it loudly and be prepared to back it up. In Quartzsite we learned that state and federal government agencies would not send the cavalry to our rescue. The direct democracy provisions of recall, initiative and referendum were a gift to the citizens of Arizona because our founding fathers understood the potential for corruption and the necessity of keeping public servants in check. The voters of Cave Creek should be applauded, not derided for exercising their rights. They are the employer. Ultimately, the corporate board must yield to the needs of the shareholders or be replaced if the business is to prosper. The cost of a special election is trivial compared to the financial damage resulting from bad leadership decisions. Quartzsite is on a fast track to municipal self-destruction. The sociopaths of our previous and current cabal have proven they will stop at nothing to retain control unless they should happen to die or go to jail before their hidden agenda plays out. When a federal judge held our former police chief, town manager and assistant town manager personally liable for their actions in firing the majority of our police department, the current council passed an ordinance indemnifying themselves along with former employees for actions already in litigation even though they no longer benefit from AMRRP protection and must pay the attorneys with the people’s money. Quartzsite started the fiscal year in a deficit. The town owes millions to HURF for money it illegally supplanted on top of millions in debt for it’s wastewater treatment plant and is attempting to borrow more with the facility as collateral. You don’t have to be a psychic to see the future. After countless hours of analysis, my best advice is not to incorporate in the first place. Ignore the dangling carrot of potential grants and loans and inevitable problems that accompany them. 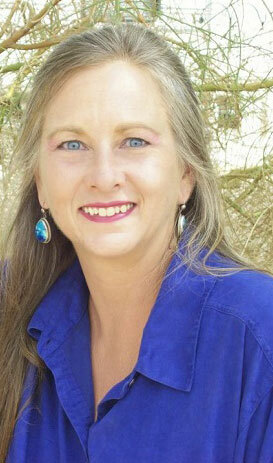 Jennifer Jones is Editor of the Desert Freedom Press.